We're very happy to congratulate Cristin on the publication of her new book Upstate Almanac: Outdoor Adventure in Upstate NY, which is now available as a paperback and ebook. To celebrate, we're sharing an adapted excerpt about some fun winter hikes. 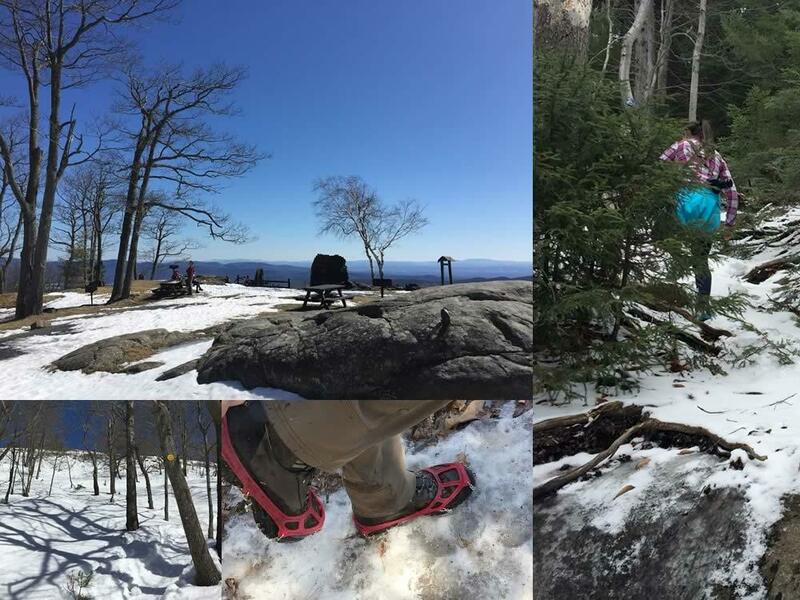 If you think of hiking as a three-season sport, you're missing out. Hiking, snowshoeing, and getting outside in winter more generally, can improve your mood in the dark, dreary months of the year. And one of the best parts of spending time outdoors in the winter chill is coming back inside and warming up with a hot chocolate. 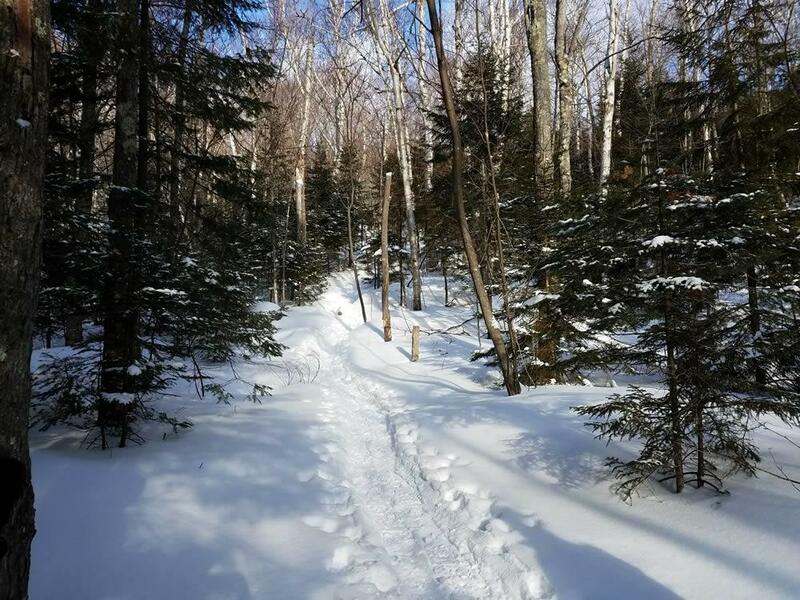 With that in mind, here are some fun, easier winter hikes along with where to get hot chocolate nearby. 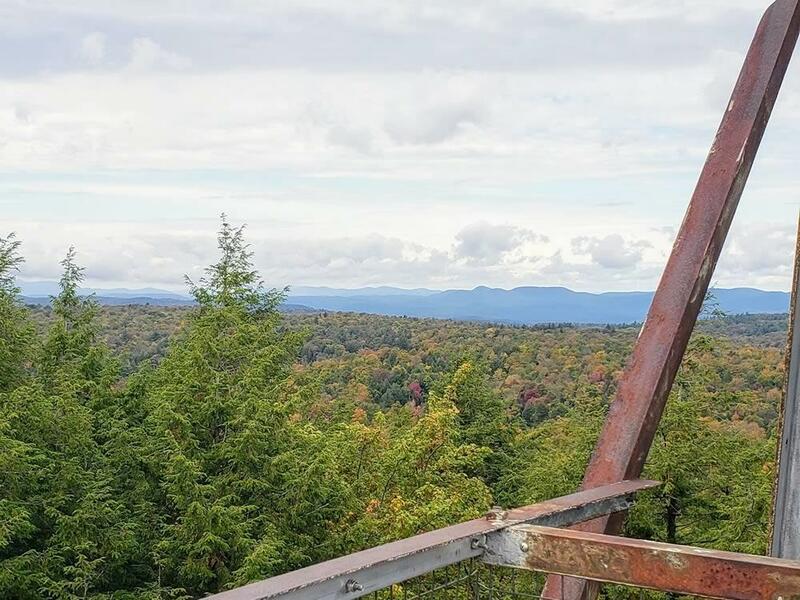 The view from the Spruce Mountain fire tower. It seems like each year more and more people are on the trails in the Adirondacks. And with peak foliage season quickly approaching, it's about to get a lot more crowded. While the DEC grapples with how to handle the increased traffic -- a recent move included trying to drastically reduce the amount of parking at one of the most popular trailheads -- it's probably a good idea to check out some less crowded hikes in the meantime. Scrolling through the #adirondacks hashtag on Instagram, you might think there were only a handful of hikes in the region. The familiar v-shaped vista of Indian Head, people holding up fingers for the number of High Peaks they've hiked, and the panoramic views from Cascade dominate. But there are literally hundreds of other hikes in New York, many with views just as good -- and you don't have to leave your house at 4 am to get a parking spot. 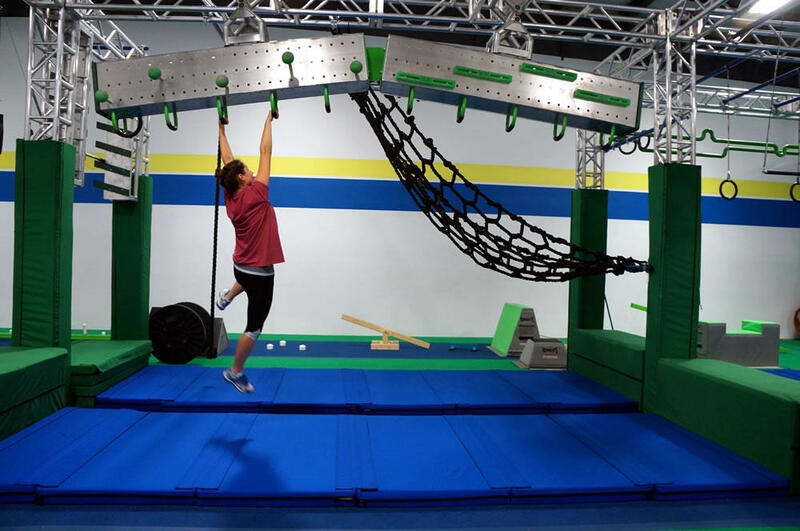 If you've ever watched the television show American Ninja Warrior and thought "I could do that" -- -- here's your chance. The show -- on which ultra-fit competitors run through a punishing obstacle course -- has inspired an entirely new type of workout, and now you can try it locally. If you are a bra-wearer, you already know the struggle to find the right size bra. Standard sizing does a poor job of accommodating non-standardized bodies, and misinformation is rampant. Many women don't know what a properly-fitting bra is even supposed to feel like, and uninformed employees at mall stores often measure incorrectly. But maybe all of that will soon be a thing of the past. Sure, custom bras have been around for a while, if you're willing to spend enough cash. But recent innovations in 3D scanning and printing have the potential to eliminate issues with fit. Spring is so close you can practically taste it. Little green buds are starting to poke out of the ground. The weather is slowly inching its way above freezing. And it's that time when you might start thinking again about hiking places like the Adirondacks or Catskills. Spring can be one of the best times of year to hike. The sun feels particularly warm after a long winter, there aren't any bugs yet, and the crisp air is refreshing. That's all if you're properly prepared -- because while it might (eventually) be 60 and sunny in Albany, up in the mountains it could still be snowing. Valentine's Day is nearly upon us. Do you have any plans? A little more than half of adults in the US celebrate Valentine's Day, according to the National Retail Federation. And if the influx of prix fixe menus advertised by every restaurant that could conceivably serve three courses means anything, the traditional romantic dinner remains a popular way to celebrate. But if you're not the type to shell out $100 for a meal where the menu is limited -- or if you've been there, done that, and are looking for something a little more adventurous -- you've got options. 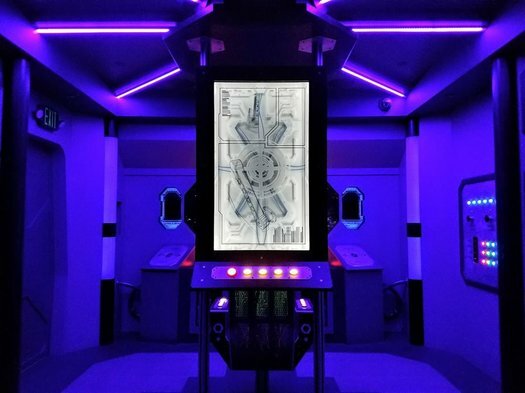 "Transported away from the relative safety of Earth and onto an abandoned ship in deep space..."
One of the fastest growing branches of the entertainment industry is one that's still largely under the radar of most people: the escape room. More than 1,700 have popped up around the country since 2015 -- including five of them here in the Capital Region. So I got together a group and checked one out. AOA is on summer break this week. So we'll have new follow-ups this week with people we've met and covered during the last year. When we first spoke with Jinah Kim in 2016, she had big plans for Sunhee's Farm and Kitchen. The goal, she said, was for Sunhee's to not only be a Korean restaurant, but also a hub for social services, specifically focused on the refugee and immigrant community. Walking into the restaurant today, you'll find little placards dotting the walls labeling things in Korean and English -- evidence of the English classes currently offered to staff members. 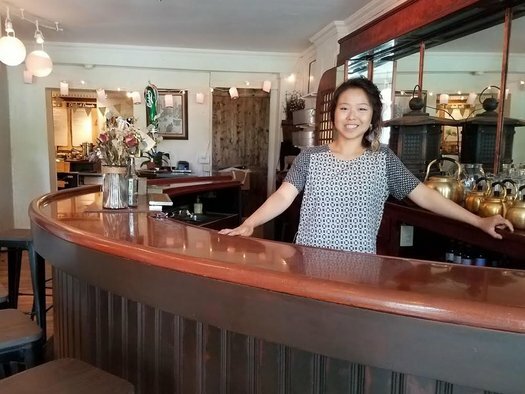 We caught up with Jinah to talk about how things have progressed over the last year, including a bar and a new patio, and how she's balancing between running a successful restaurant and giving back to the immigrant community. A part of the bouldering section at The Edge. Rock climbing might have once had the reputation as a sport reserved for the young, fearless, living-in-a-van-while-touring-the-country crowd. But in recent years, the explosion of rock gyms around the nation has made the sport more popular and accessible for everyone. And for the first time, rock climbing will be included in the 2020 Olympic games in Tokyo, which will likely make it more popular than ever. 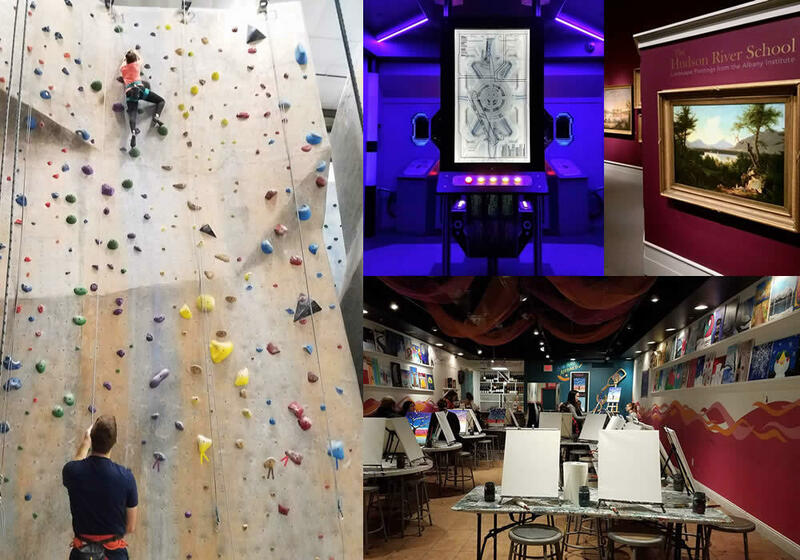 Even if you don't have Olympic dreams in your future, there are a few places around the Capital Region you can try it for yourself. 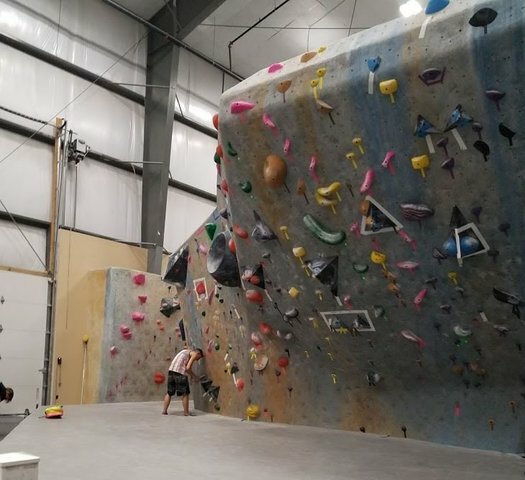 This time of year, when the snow is melting but the grass isn't quite green yet, visiting a climbing gym is a great way to beat the spring blues, get a challenging workout in -- and have some fun. Soon after my look at how to get started hiking the High Peaks this past summer, the state Department of Environmental Conservation publicly suggested that people should think about hiking some different mountains this fall because of overcrowding in the High Peaks. 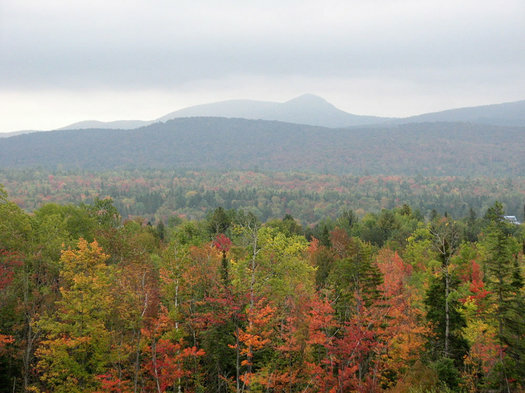 And that's understandable -- this time of year, at the height of leaf-viewing season, the High Peaks can be insanely crowded. Like hundreds of people on the trail kind of crowded. Besides killing the serene vibe, too many people on the trails can lead to degradation of trails, garbage, and a variety of other problems for the environment. 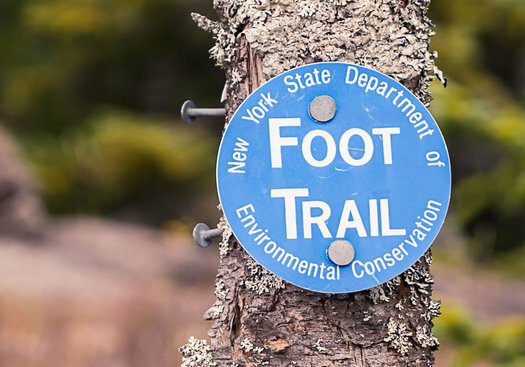 The High Peaks are great, but they are by no means the only or best hiking trails in the Adirondack region. Now that you're all fired up about becoming a 46er, let's get down to business -- the actual hiking. No matter how prepared you are, how many trip reports you've read and how many flights of stairs you've climbed in practice, nothing prepares you for tackling big mountains quite like getting out there and hiking. Sunhee's Farm and Kitchen is a new Korean restaurant in downtown Troy with a three-part approach: farm, food and community engagement. The family farm supplies the restaurant with eggs (and soon, produce), and the restaurant assists and employs recent refugees. It's a family endeavour, with owner Jinah Kim's mother and a longtime family friend as chefs, and her father completing the renovations to the restaurant space. 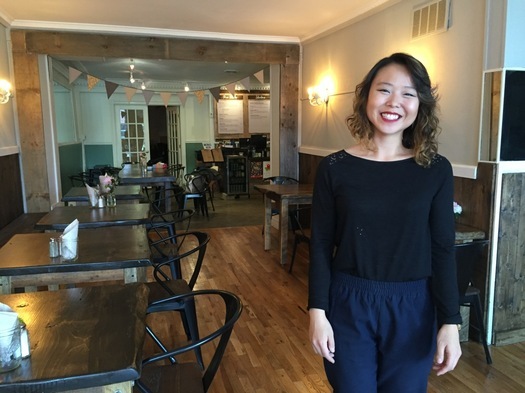 Sunhee's just recently opened, but Kim has big plans for the future. She's trying a new business model and isn't afraid the blur the line between for-profit business and social service agency. I got together with Jinah Kim to talk about the new restaurant, her passion for social service, and her favorite Korean foods. 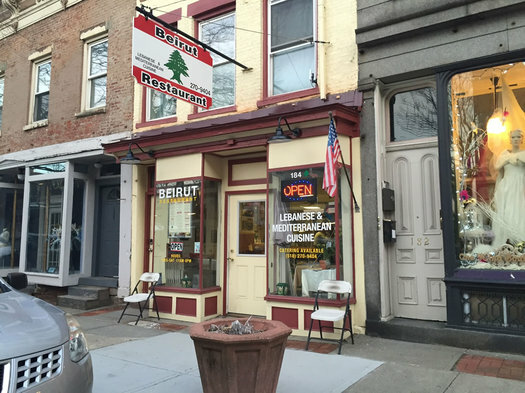 Veg Out is short series about vegan dining options around the Capital Region. Has there ever been a restaurant you've wanted to try for ages but never get around to? Someplace you know you'd love, but put off trying because you know you'll be there all the time once you finally go? 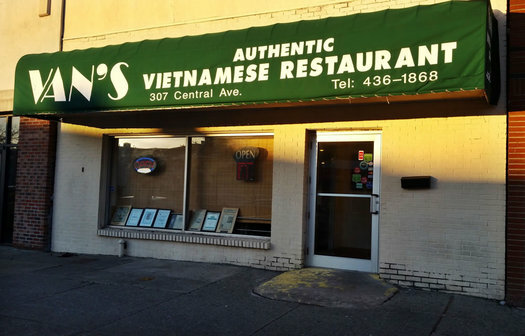 For me, that place is Van's Vietnamese Restaurant in Albany. When I asked for suggestions of where to go for vegan food in the Capital Region, Van's was consistently one of the top answers given. I love all spicy foods, especially when they involve noodles, so I was pretty excited to give Van's a try. But for some reason, it took me months from hearing about Van's to actually try it. 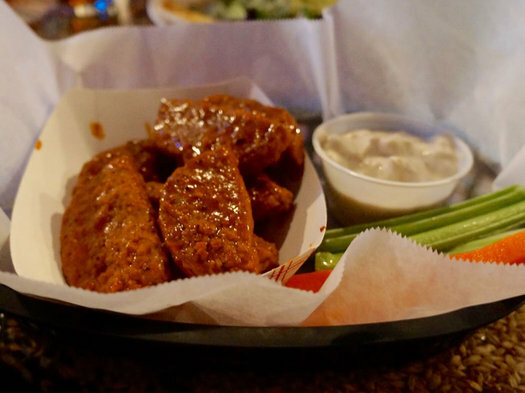 Perhaps it's because, as many fellow Trojans can attest, with so many great restaurants within walking distance of downtown Troy, it can be easy to never venture out to Albany for food. Or maybe I'm just lazy. Whatever the reason, I finally made the pilgrimage, and man, was it worth it. No tour of vegetarian and vegan food would be complete without a foray into ethnic food options. Trying to veganize traditional American food tends to be an exercise in frustration. Dairy-heavy, meat-centered dishes like hot dogs, mac and cheese, and pizza are difficult to replicate with satisfaction. But when you widen your view, the vegan options multiply. One of my favorite places for a more global meal is the little treasure of a Lebanese restaurant in Troy, Beirut. While visiting a friend in New York City recently I found myself at a bar that had no vegan options. Every single option involved meat or butter. The only thing I could order was french fries. Rookie mistake to not research beforehand. I had foolishly assumed that since most places in Albany have veggie options, surely a hip bar in Brooklyn, of all places, would have something. Here in the Capital Region, being vegan is relatively easy. We have Whole Foods and Honest Weight for all our geeky animalÂ­-free cheeses and most restaurants have at least one veggie option. It's easy to get spoiled. 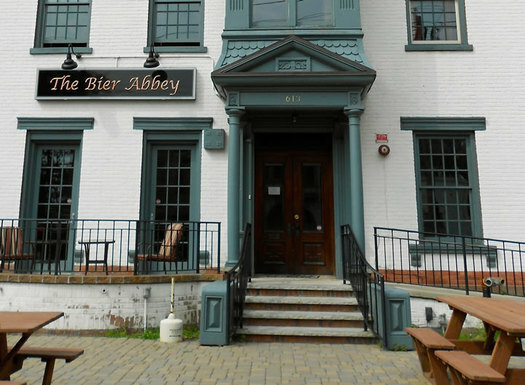 One great veggie option for a low-key dinner date or after work drinks is The Bier Abbey in Schenectady. Say hello to Cristin Steding, who will be writing a short series here at AOA about vegan dining options around the Capital Region. One of the hardest things about eating vegan and spending time with non-vegan friends and family is going out to eat. At family dinners and casual get-togethers, it's easy enough to bring a dish to share and insist no one worry about accommodating you. When someone says "Let's go out!," though, it strikes dread in the hearts of vegans everywhere. Will it be a night of eating unseasoned, overpriced steamed veggies? Or will it be the dreaded plain garden salad with oil and vinegar? If you're lucky, you can convince the group to go to a place that's secretly vegan-friendly. These darling restaurants will not only mark the menu with what's vegan, but also put an effort at making it delicious. When the time does come to pick a restaurant, it's good to have some solid choices at the ready, where you know you'll be able to find something to eat and your carnivore dining mates won't whine about the hippie food. The Capital Region is blessedly vegan friendly, something I completely took for granted prior to going full veg. In fact, some of the best vegan food around is hiding in places you might not expect.